Today people around the World celebrate the 49th anniversary of the first Moon landing! Humans have finally fulfilled their long-term dream when Commander Neil Armstrong and Lunar Module Pilot Buzz Aldrin touched down on the Lunar surface on July 20, 1969 at 8:18 PM UTC. The third crew member, Michael Collins remained in orbit around the Moon piloting the Columbia module. All the objective of this bold and daring first mission: to land on the Moon, to collect the samples and to return safely back to Earth were met! 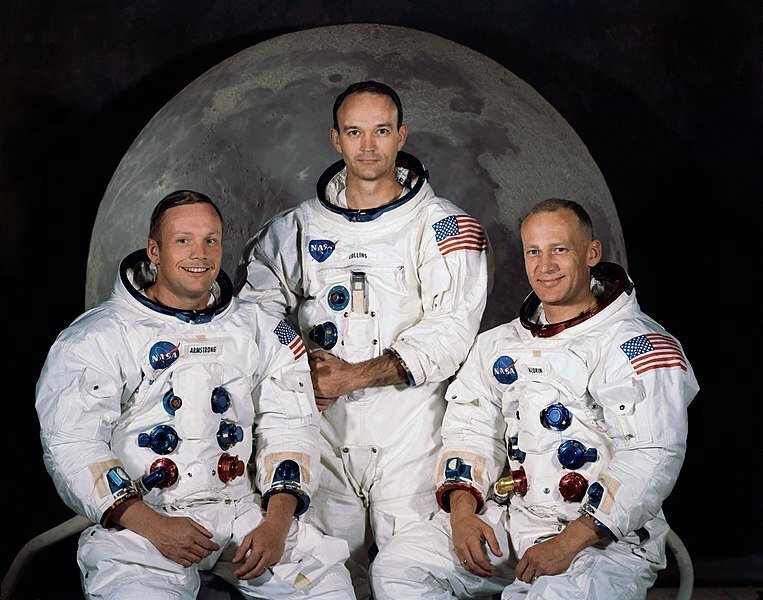 Apollo 11 was the first mission to visit the Moon, but not the last. The following five Apollo expeditions have landed ten more astronauts on the Moon between 1969 and 1972. But apart from those 12 brave men, no human have ever set foot on any space object outside the Earth. Or even left the Earth’s low orbit. Many countries, space agencies, and even private companies have plans to visit the Moon in the nearest future. Maybe even colonize it one day. But we will always remember that it all started with the small step of Neil Armstrong, with the courage of the Apollo 11 crew and with the brilliant work of hundreds of scientists and engineers who made the Apollo flight possible. Where can we see some of the Apollo 11 Moon landing artifacts? 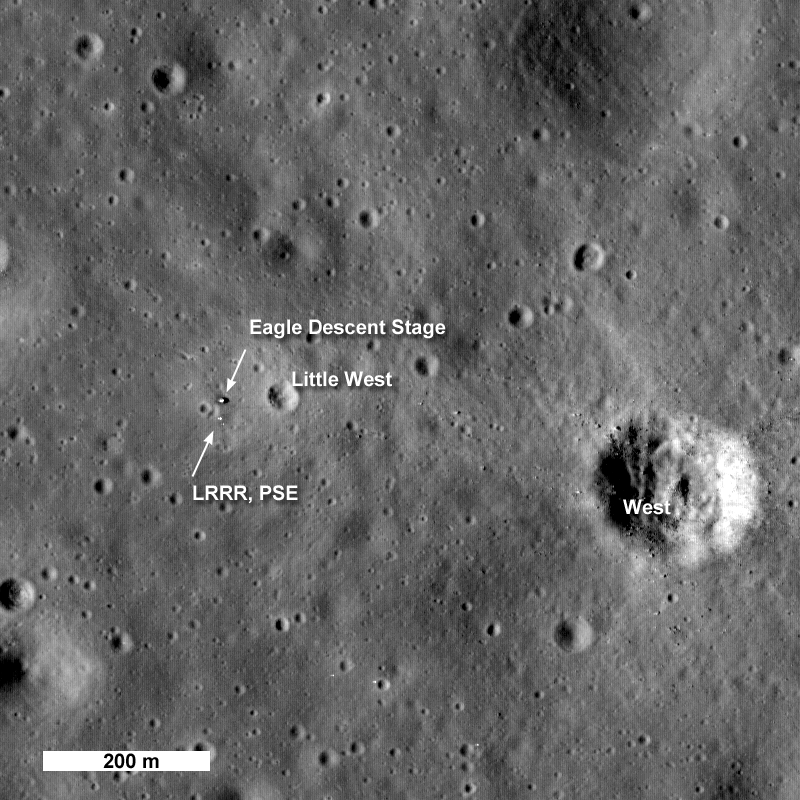 Eagle Lunar Module ascent stage crashlanded on the Moon after safely delivering astronauts to Columbia. Its exact location is unknown. Stage One F1 rocket engines were discovered in 2012 by Jeff Bezos and his team in the Atlantic ocean. Parts of the two engines were recovered from the ocean floor in the following year. Apollo 11 mission returned around 22 kilograms of moon rock and dust to the Earth. Most of the samples ended up in NASA research centers. The tiny rocks were given as good will presents to all 50 states in the US and to the heads of 135 countries. Is there one in the museum in your country? Happy Apollo 11 Moon landing anniversary! Any questions? Let the inflatable planetarium team know! And don’t forget to visit our space dome to learn more about the Moon and the Apollo Moon landing missions.